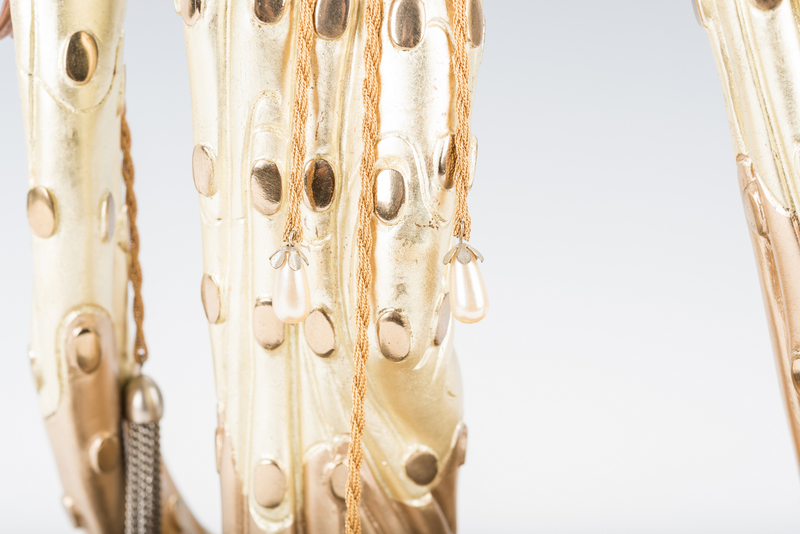 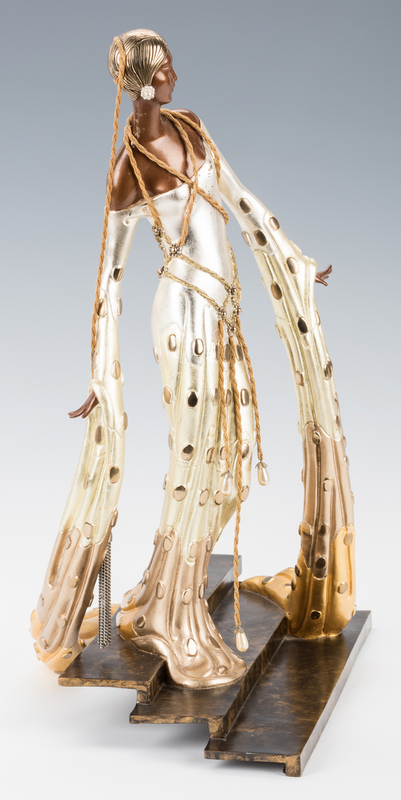 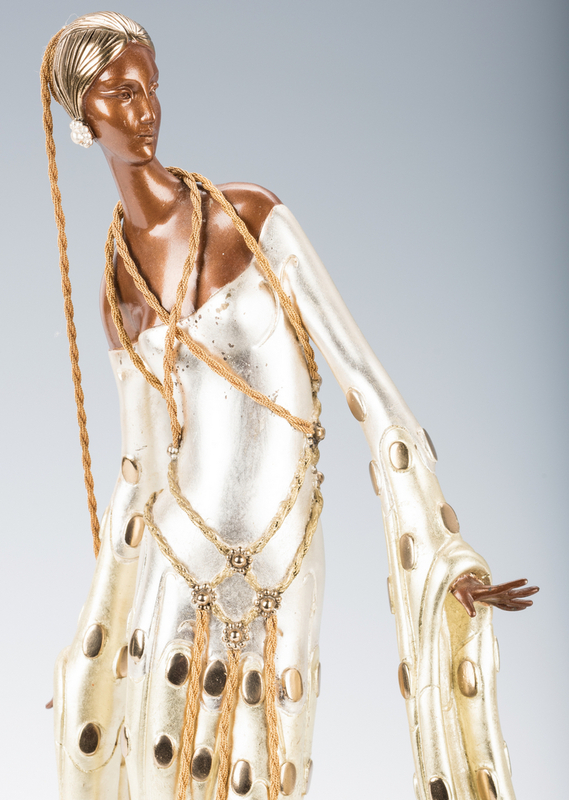 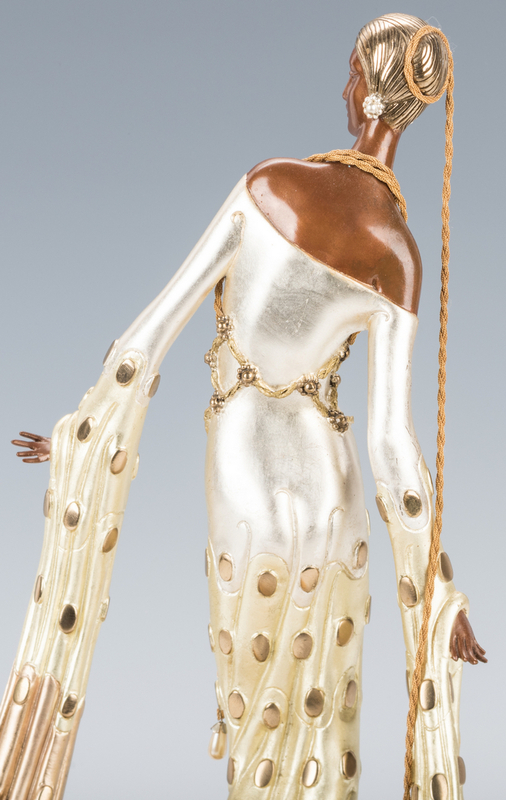 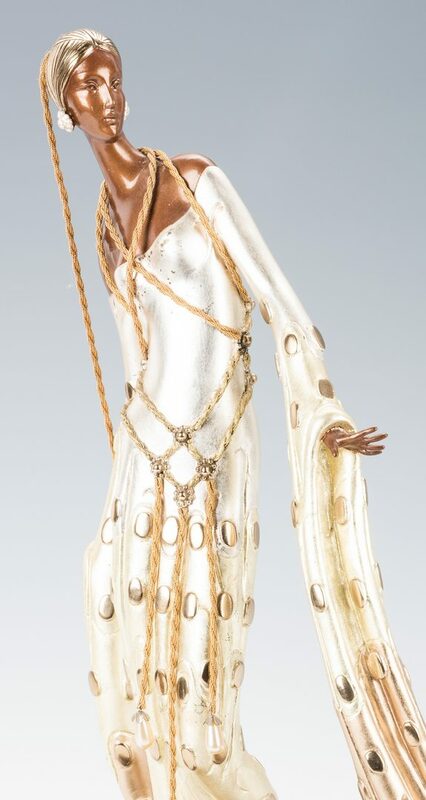 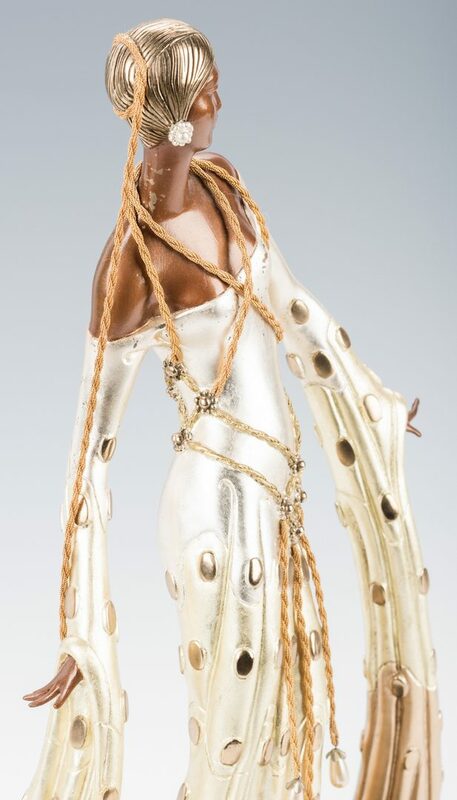 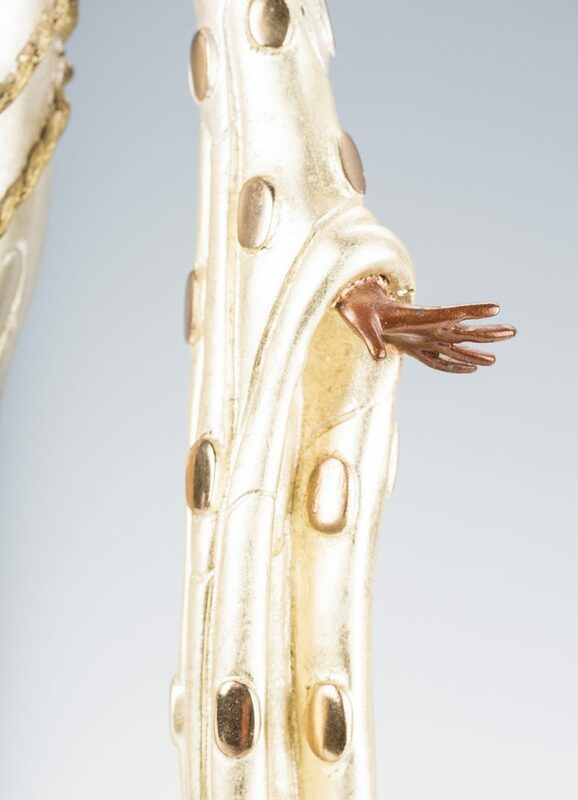 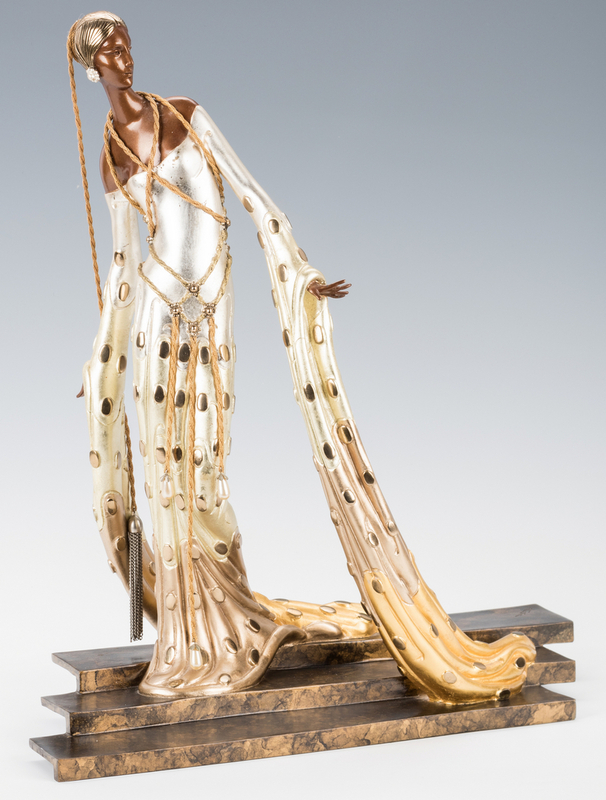 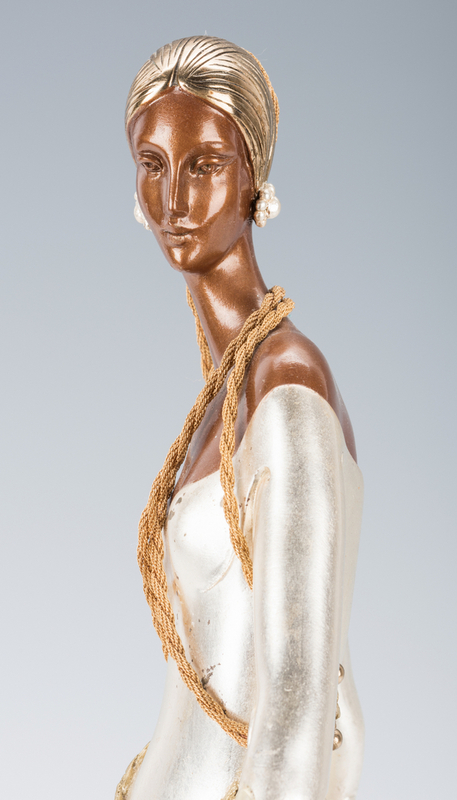 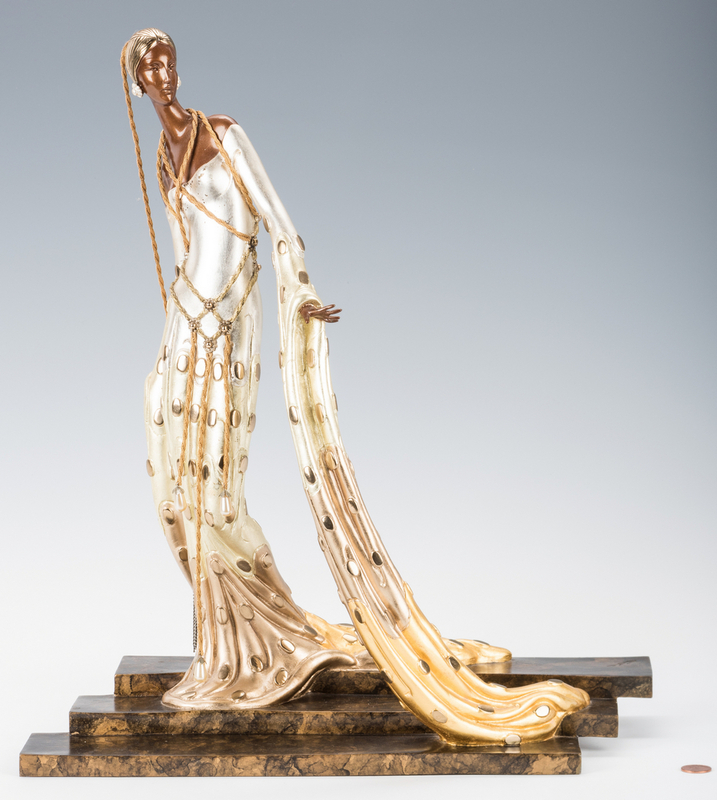 Erte (Romain De Tirtoff, Russian/French, 1892-1990), limited edition gilded and cold painted cast bronze sculpture titled "Melisande". 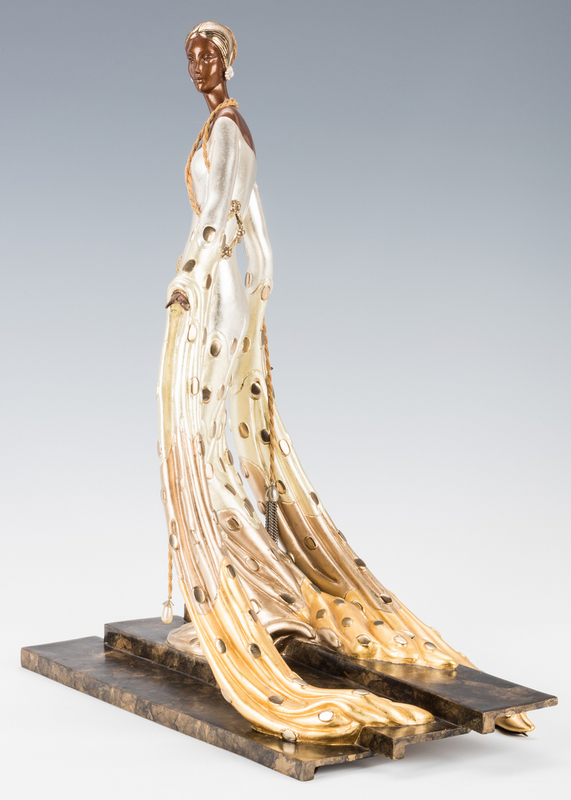 Inscribed "Erte", numbered 43/375, foundry mark Chalk & Vermilion, and dated 1990 on the back of top base step. 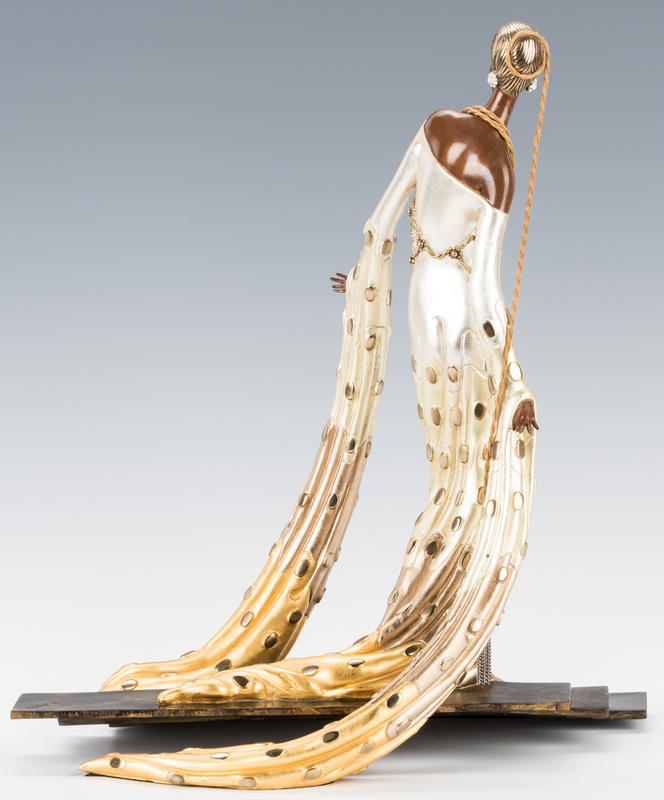 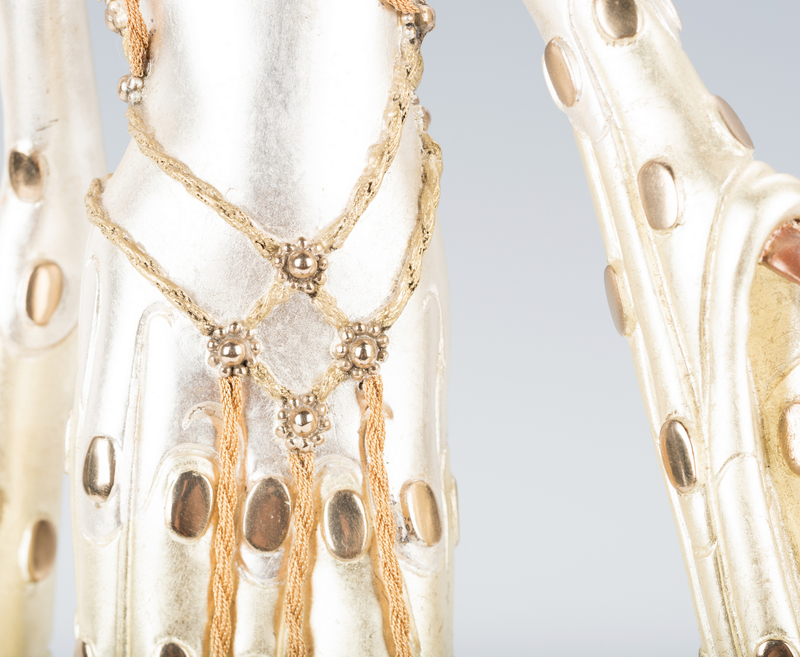 Additionally siged "Erte" on top of the upper base step. 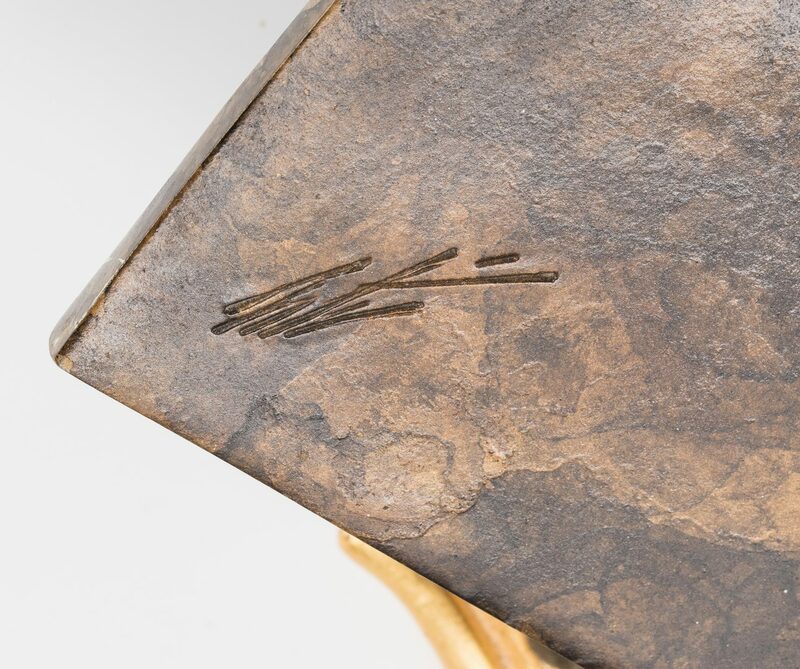 17 3/4" H x 15 1/2" W x 8 3/4" D. 15.7 lbs. Provenence: Private Middle Tennessee collection. 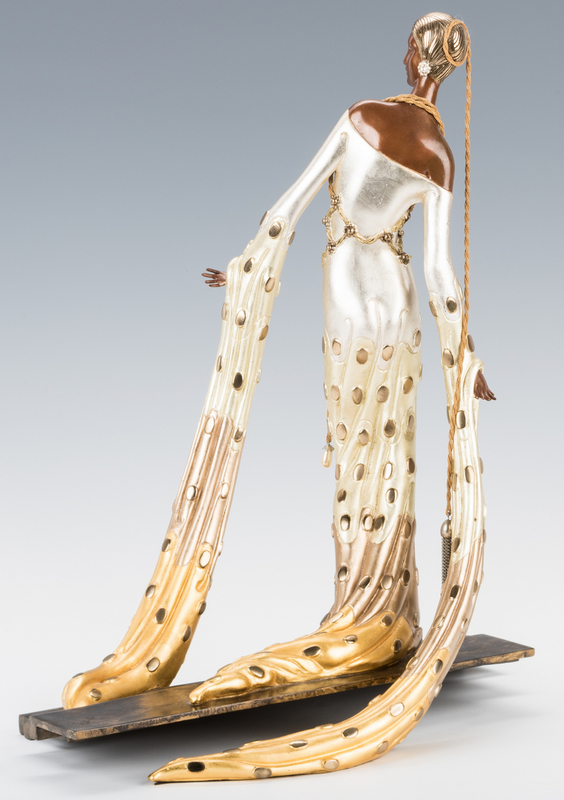 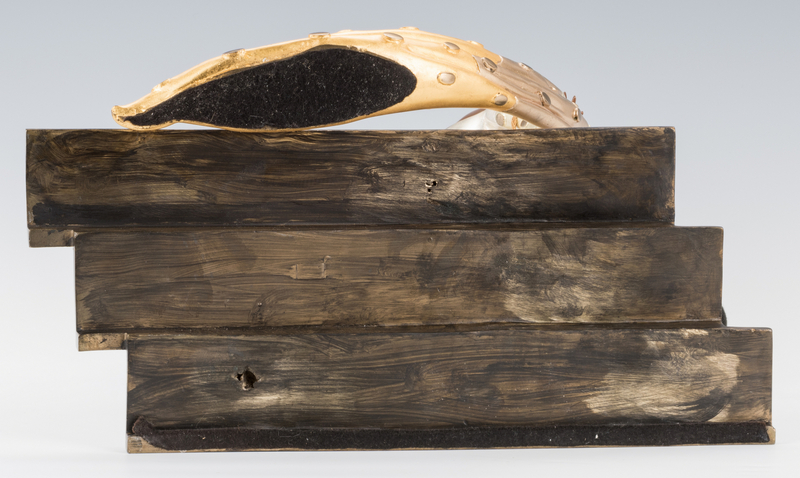 Originally purchased at Benedetti Gallery in New York City. 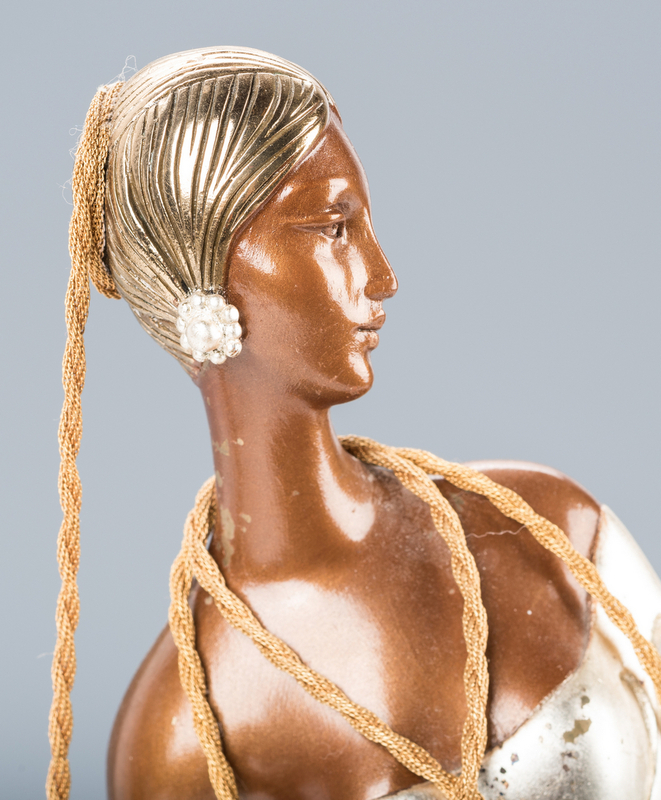 CONDITION: Scattered small rubbing and paint loss to upper front chest area, likely caused by gilt chains, largest 1/8" W, otherwise overall good condition.